Tom T. & Dixie Hall are happy to announce that Radio DJ's will now be able to download current hits from Good Home Grown Music and Blue Circle Records from their AirPlay Direct Site www.airplaydirect.com/goodhomegrownmusic Good Home Grown Music will be updating their site often with new and upcoming songs as well as including some earlier released good'uns! 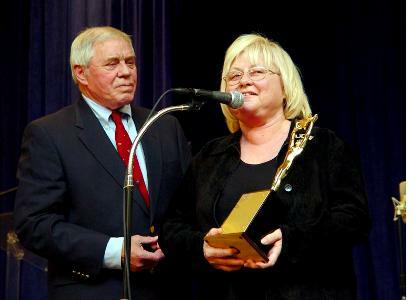 Good Home Grown Music is the music of award winning and legendary songwriters Tom T. Hall and his wife, Dixie Hall. Their songs have been recorded by bluegrass, country, folk and other artists. Their songs have been award winning for ages. I Love: Tom T. Hall's Songs of Fox Hollow has been nominated for a 2011 Grammy Award for Best Children's Album, the National Academy of Recording Arts and Sciences announced tonight. You can hear the songs at www.SongsOfFoxHollow.com . Tom T. moved to Nashville in 1964, to work as a songwriter, and produced so many original songs he had to start singing them himself to get them recorded. His first single, "I Washed My Face in the Morning Dew", was a Top 10 hit, as was the next "A Week In the County Jail", which ascended to number one on the Country Charts. He wrote "Harper Valley P.T.A. ", which Jeannie C. Riley took to number one on the U. S. Pop Charts. His album Storyteller included one of his most popular songs, "Old Dogs, Children, and Watermelon Wine." He won a Grammy for Tom T. Hall's Greatest Hits, and the Pop Charts again in 1974 with I Love. A member of the Songwriters hall of Fame, Tom T. Hall has left a legacy of having one of the most endurable and recognizable voices in country music.